A gift of absolute decadence to delight the chocophile for whom only the finest dark chocolate will do. 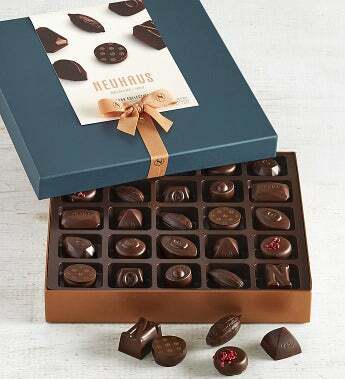 Neuhaus's Dark Collection features 25 rapturous fillings of ganache, caramel and more all enrobed in a silky dark chocolate shell, presented in a luxury gift box. Ttl Net Wt. 9.35 oz.